The flights are currently only touristic. "Shoushi Band", "Nemra" Rock Band, Gor Sujyan, Miqael Voskanyan and DJ Guevo welcomed the participants of "Artsakh Air Fest" with their performances. 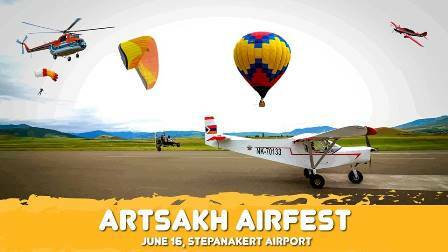 SPRING PR company was the official PR partner of "Artsakh Air Fest"